While it’s technically easy to get hold of a credit card these days, making sense of the thousands of different types of credit cards is another matter entirely. On the plus side, such enormous variety means that there is always the perfect credit card out there for each and every applicant. It’s simply a case of identifying your own primary needs and preferences, in order to narrow things down. As the name suggests, the standard credit cards are the everyday generic credit cards that come with no specific rewards, frills or added extras. They tend to be the easiest to understand, the least complicated to work with and often the easiest to get hold of. You will be assigned a certain credit limit, you can make purchases anywhere the credit card accepted and you will usually have until the end of the month to pay the balance, without incurring any charges. For each month any amount of the balance remains unpaid, an interest rate will be charged as specified during the application process. These credit cards can be ideal for those looking to transfer balances from other credit cards, in order to benefit from an introductory period of low or perhaps even zero interest. As part of the application process, you indicate which balances from which credit cards you would like to transfer or over to the new card, which are then added to your new card’s balance. You may benefit from three months, six months or even a year during which time no interest will be payable. If you manage to pay off the entire balance in the meantime, this could equate to significant savings. In this instance, these credit cards serve as something of a virtual ‘piggy bank’ that slowly but surely builds to rewards of some kind. It could be that you get perhaps 5% cashback on all qualifying purchases, it may be that you collect points toward special travel discounts or absolutely anything else of a similar nature. If you have a poor credit history, then you can learn how to improve your credit rating at ClearScore as having a good credit score is important. If you have poor credit history or absolutely no credit history to speak of, the only credit card you might qualify for is a secured credit card. Martin Lewis also has some ‘must know’ info to help boost your credit score. A secured credit card usually means providing something by way of collateral, which is often taken in the form of a security deposit or a written agreement regarding property. The card itself works in the same way as any other credit card, though your deposit or collateral may be at risk if you do not keep up with repayments. Last but not least, speciality credit cards are offered by major retailers, businesses and organisations from a wide variety of backgrounds. 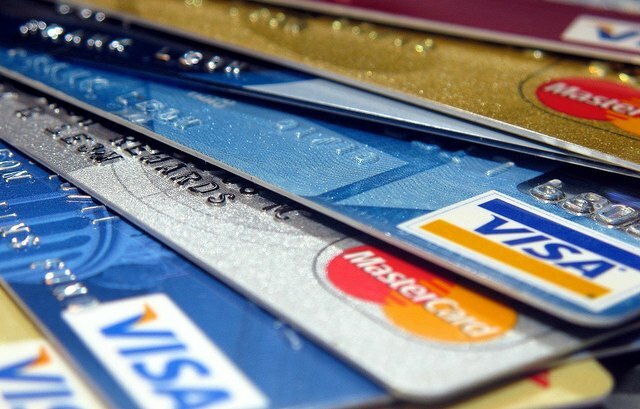 Using such credit cards may provide access to certain perks and privileges, it could be that a percentage of every purchase is contributed to a charitable cause or that loyalty to the provider of the credit card may eventually result in the provision of much greater rewards and privileges.